Welcome! If you’re new here, thanks for stopping by. Bucolic Bushwick is a blog about container gardening vegetables. 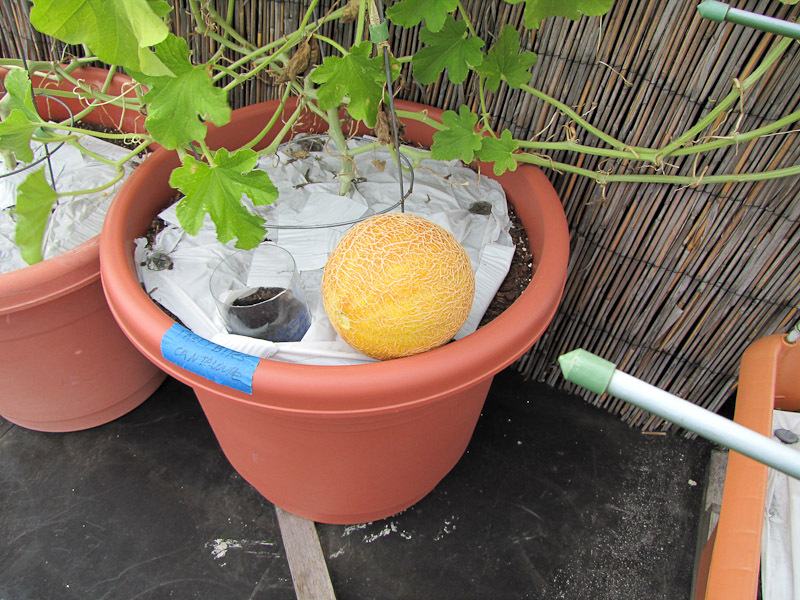 Have a look around and please enjoy this post about the best vegetable seeds for rooftop container gardens. These vegetable seeds made the list because they're well suited to container growing, adapted well to the sunny & windy rooftop environment, have a high level of fruit production, and most importantly, they have fantastic flavor. This list is really short right now, but obviously I'll add more as I grow more. I actually struggled with growing this plant, mostly because I placed it in an inappropriate container, but it was worth all the babying because the cherries tasted like tangerines. I'm serious! Try them, they're awesome. Even though I had trouble growing this plant on the roof I would still recommend it to fellow rooftop gardeners. The plant struggled with disease throughout much of the growing season and it sometimes ran out of water before I could make it back from work, but even under all this stress the plant never produced a bitter fruit. Zero food waste! 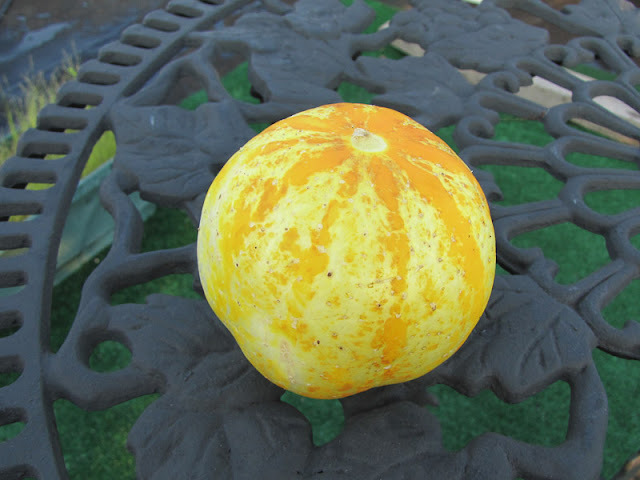 Nice soft skin, practically seedless and never bitter. This plant also allows harvesting flexibility. 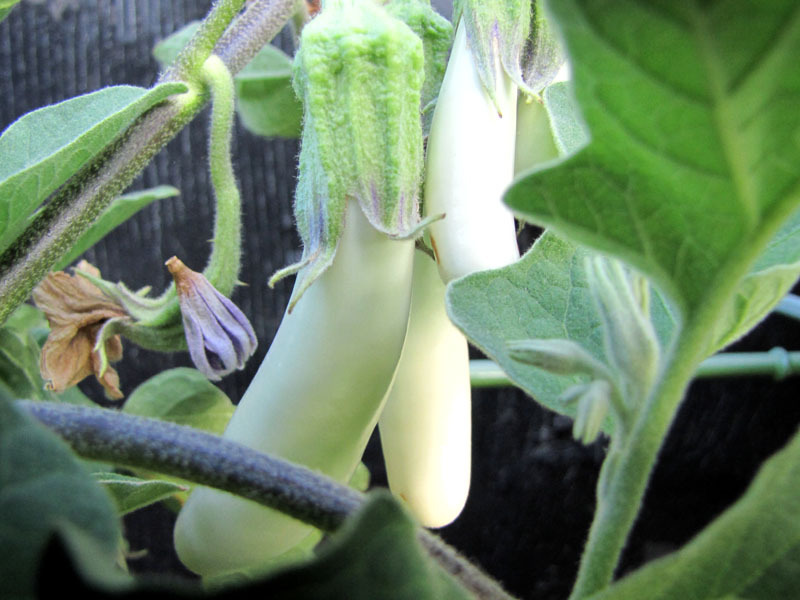 You can pick them when they're small or wait for them to get larger without sacrificing flavor. The flowers are nice to look at too. These compact fruits with a cantaloupe like flavor did very well in containers and did not mind the windy roof at all. The flesh is firm not mushy, and sweet, but not too sweet. They were the highlight of the 2011 garden. My only regret is that I didn't have more pots to grow more plants! 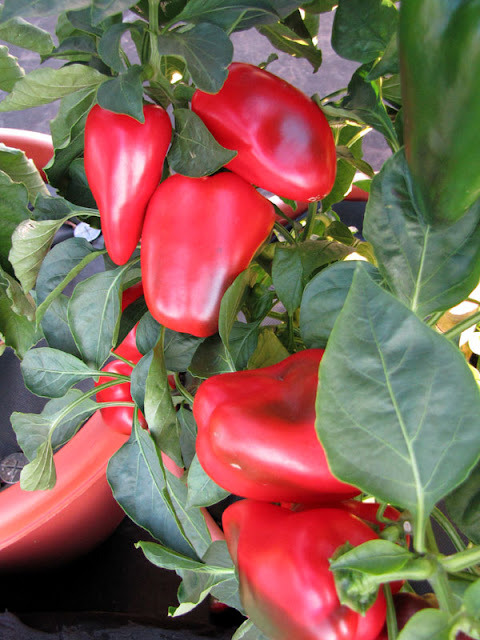 I personally think red peppers are the most flavorful peppers you can grow, the problem is that it takes forever for green peppers to turn red, usually about 80 days. These turn red quickly. The packet states 73 days to change color, but mine turned red in about 60 days. Even in the green stage these peppers are pretty good. The fruits are crunchy with thick walls at all stages of growth, and the plants just churn out fruit, so you can munch on peppers throughout the summer instead of just toward the end. I've added a "Top Seeds" tab to the navigation bar for quicker access to the info in this post. Thanks for posting this! I did some plants in containers but they did horribly. What type of soil do you use in your container. And where do you buy seeds from? I love your red pepper, I definitely want to try next year since I had a hard time getting my peppers to turn color! You have some really nice photos of some of your plants here. May I recommend that you start your tomatoes,herbs, veggies etc in a mini greenhouse next season. 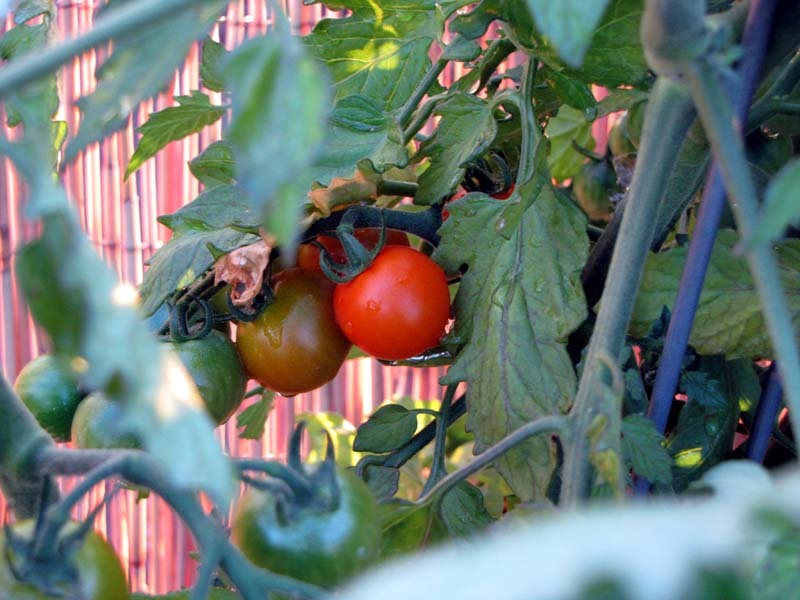 You can start your plants a month earlier this way and be chewing on Cherry Tomatoes before you know it.